Sales Station POS is the most complete cash register solution for front-gate/front-desk operations and merchandise sales. Doubleknot designed Sales Station from the ground up to meet the needs of nonprofits. 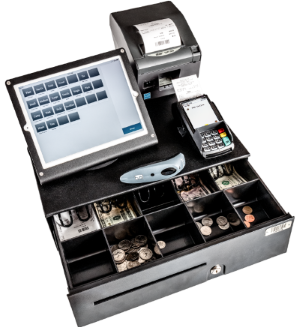 Customizable cash register buttons provide quick access to common items, and cashiers can add any event, program, reservation or membership in Doubleknot to a sale by navigating to the category and selecting the item. Integration with the Doubleknot online store ensures accurate inventory management and sales reporting for all merchandise.